How do you define luxury, and under what circumstances will you allow yourself to splurge? Is it during the holiday season, birthdays, vacations, or on pets? No matter what the case may be, purchasing the crème de la crème provides a sense of reward and accomplishment. Chase Stehr, is the CEO of Ultra Modern Pet, which provides chic, modern, and even technologically innovative pet furniture. Petopia's interview questionnaire takes a closer look at the uniqueness of Ultra Modern Pet, and their definition of modern luxury. 1. What was the inspiration behind starting Ultra Modern Pet? I have very modern taste and when I adopted my Westie puppy, Mikey, three years ago, I was looking for dog bowls and a dog bed to fit the modern, minimalist look of my condo. I found there were very few options out there. And most which I did find, which were advertised as modern, could hardly be classified as such. So I decided to start my own business creating pet furniture and products that were truly modern under the brand modern.PET and creating the storefront Ultra Modern Pet from which to sell them. I've since collaborated with many other private designers spanning six continents, and Ultra Modern Pet has quickly grown to become the world's #1 outlet for cutting edge pet furniture and products. 2. How did the end cost or market price of the final product affect the innovation and design of the luxury furniture? I first had to do market research on various types of items and see what price range high-end products of that type were selling for, then use that as a base to determine the types of materials which could be used. I didn't want to create products so costly to make that they would have to be sold at a price far outside of most people's reach. Luxury isn't as important to me as modern design. 3. 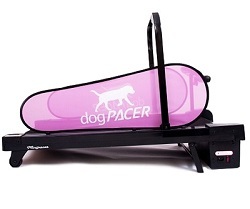 What is your customer satisfaction rating for people that purchase Ultra Modern Pet products? The feedback has been very positive. I'm always receiving emails from customers who love their new dog bed or cat house. 4. What makes Ultra Modern Pet competitive in the sales of luxury pet furniture? How did you differentiate yourself from others in the market? First, as mentioned, a lot of the pet furniture whether in store or online marketed as "modern" are merely traditional items using that word as a marketing ploy. Ultra Modern Pet is the only pet retailer which can say that not just 50% or 70%, but 100% of its products are truly of either modern or contemporary design. Second, being a strong animal advocate, I wanted to accomplish more with my business than just generate profit. Therefore, a large percentage the of profits made off every item sold goes to animal charity. The primary charity Ultra Modern Pet supports is Farm Sanctuary because fighting factory farming through awareness, legislation and animal rescue is a very important cause to me as the thought of millions of farm animals spending their whole lives, from birth until death, suffering, is horrifying. And I think it's important to our customers, knowing that part of their purchase is being used to help animals in need. Third, what gives Ultra Modern Pet the biggest edge is uniqueness. When I started this business I wanted to offer people a large selection of products which were extremely creative in design and truly unique from anything else out there. For example, we now have the largest online selection of custom luxury dog houses, which come in both indoor and outdoor models and a variety of either contemporary or mid-century modern designs. 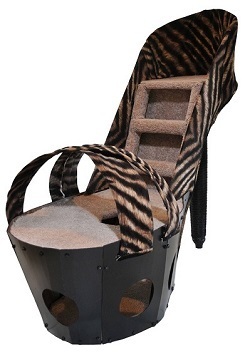 From the fashion-forward Stiletto cat tree to the tribal Zulu Hut cat bed, from the Asian-inspired Seoul dog house to the mesmerizing jellyfish and seahorse aquariums, few words can better describe our products than unique. 5. What were the essential quality and luxury features that were considered a mandatory basis for some of the designs? Every product is made of high quality materials and construction. 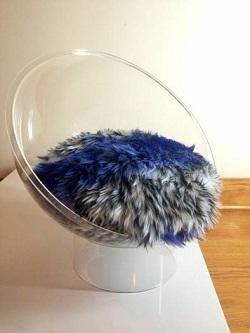 Common materials used are chrome, acrylic, wood, faux leather and faux fur. And other than for the molding of some acrylic items, none of the products are manufactured in a factory, but are hand-made by me and my designers. 6. What was the 1st piece of furniture in the luxury line, and how long did the design and prototype testing phase take before it was ready to launch? The very first item created was the Mini Scoop. 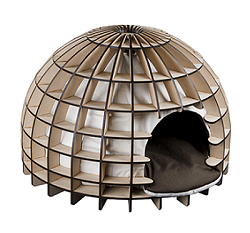 The Mini Scoop is an acrylic dome shaped pet bed with a faux fur cushion in eight color combinations. The design planning, ordering materials, testing and initial construction took about three months from conception to being available for sale. The next products in my line were the Dalmatian Daybed and Leather Lounger which are magnetic pet beds also geared towards cats and small dogs. These took almost as long. These three beds along with my four personally designed pet feeders is what I launched modern.PET and Ultra Modern Pet with. 7. When the designs are being created, what is the intended lifetime expectancy of the luxury pet furniture? The lifetime expectancy greatly varies as I have several different types of products. For instance, you'll likely want to replace the dog bowl much sooner than you will the cat condo. But in general, they last longer than typical pet furniture on the market due to their quality custom construction and the durable materials used. 8. Is there a warranty period? This also depends on the item. We accept returns on some smaller items but are unable to for most due to their size. Most of our items are large and can be quite heavy, especially the dog houses and cat trees, which often are quite expensive to ship. Also, many items are imported from our designers around the world, some as far as South Africa and Russia. So for this reason we do not offer returns or warranties on most items. 9. 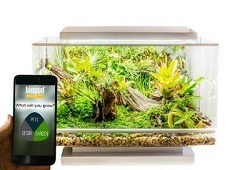 What is next for Ultra Modern Pet?